These 10 inspirational lipstick quotes from famous boss ladies will remind you just what lipstick can do for your look. With the right color of lipstick, you can change your entire appearance. Every woman needs at least one go-to shade, and these 10 women understand the power that your lip color can have. "You can&apos;t keep changing men, so you settle for changing your lipstick." If you keep trying new lipsticks, you will always have something new to look forward to. Locklear provides a good reminder that while some things in life should stay the same, lipstick doesn&apos;t have to be one of them. This lipstick quote from Elizabeth Taylor reminds us that fixing yourself up with a coat of lipstick can turn your entire attitude around. Just think of it as a tube of attitude adjustment. "Evening bags should be just big enough for my phone, lipstick, house key and credit card." Lipstick quotes, like this one from celebrity lawyer Wasser, often emphasize the importance of lipstick as a basic item that every woman needs. "If I had to teach someone just one thing about lip color, it would be this: Find a lipstick that looks good on your face when you are wearing absolutely no makeup." Makeup artist Brown&apos;s lipstick quotes are the gold standard. The best shade complements you even when it&apos;s the only thing on your face. "To me, lipstick is the best cosmetic that exists." Ah, lipstick. It has the power to dress up your face so wonderfully and draw attention to your sultry pout or your dazzling smile. "Flowers in the city are like lipstick on a woman -- it just makes you look better to have a little color." No one denies the beauty of flowers, and, as Johnson says, few will deny the beauty of colored lips. "Red lipstick is instant glamour." 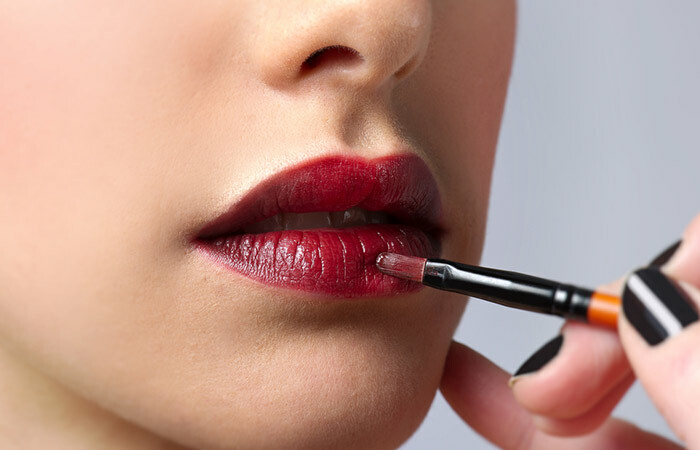 Red lipstick quotes like this one from Tilbury, a makeup artist, emphasize the power that&apos;s contained in a simple tube of scarlet lip color, like Charlotte Tilbury Matte Revolution in Red Carpet Red, $32. "Well, my smile&apos;s pretty hard to miss, considering I&apos;m a gal who likes her lipstick -- the redder the better." Want people to notice your smile? Go Parton&apos;s route and accent your mouth with a bold lip color. Makeup artist McGrath teaches a timeless truth here that applies to more than just lipstick: Keep trying new things in life because you never know what might result. "I believe in manicures. I believe in overdressing. I believe in primping at leisure and wearing lipstick." Hepburn&apos;s words are one of the most famous lipstick quotes out there. That&apos;s because she will forever be a classic, just like lipstick.